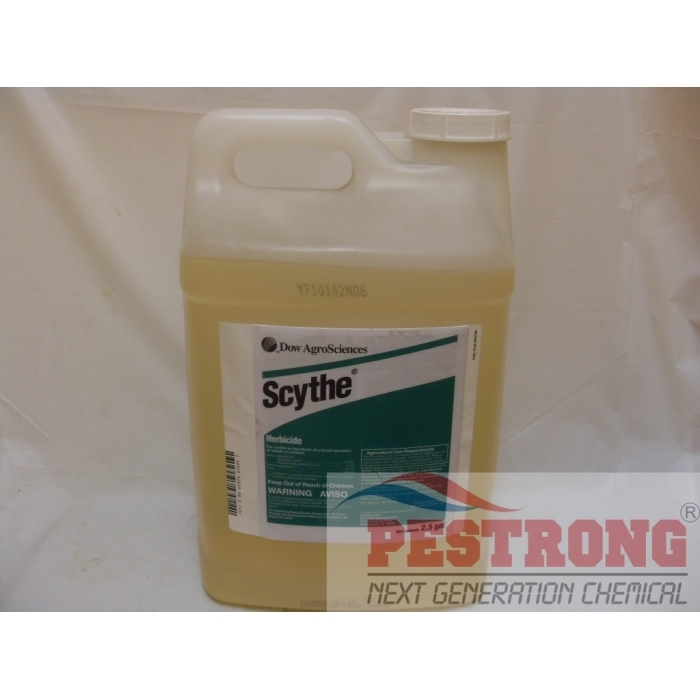 Where to Buy Scythe Herbicide, Scythe Organic Grass Weed Killer - 2.5 Gallon - $174.95 for Sale with Fast Free Shipping! 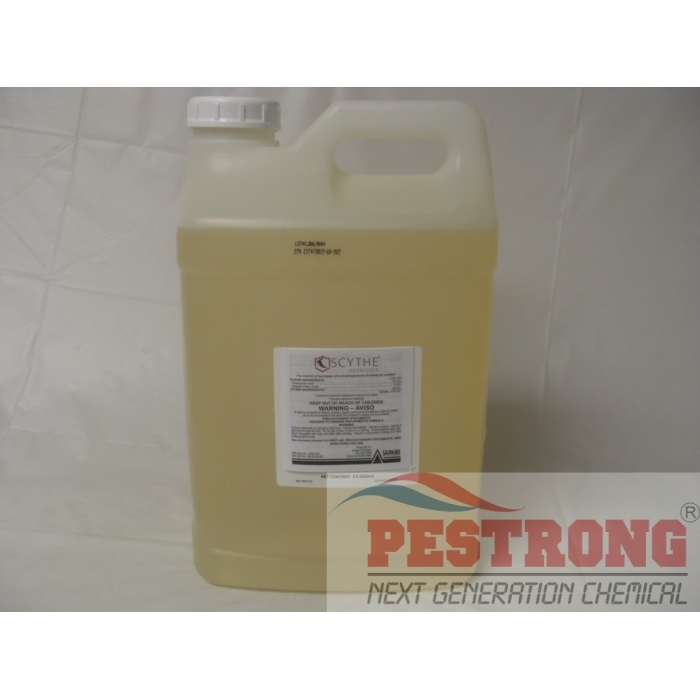 Scythe Organic Grass Weed Killer - 2.5 Gallon is a organic non-selective, post-emergence weed control for grasses and broadleaf weeds. It delivers maximum performance and provides fast acting results on a long list of weeds and grasses, as well as most mosses and lichens. Visible effects occur within hours and will not move through soil to injure nearby plants. 2.5 gallons concentrate covers up to 1 acre. • Use a 3-5% solution for control of annual weeds, mosses and cryptogams. Use the lower rate in the rate range for young, succulent and actively growing weeds and the higher rate for weeds greater than six inches in height or in the flowering stage. Use higher rate for control of mosses, lichens, and other cryptogams on structures and surfaces. • Use a 5-7% solution for burndown of perennial herbaceous plants, weeds in a later stage of growth and control of sucker growth. Use the highest rate for perennial weeds at or beyond the flower stage or when the plants have "hardened." • Use a 7-10% solution when maximum vegetative burndown, edging, or foliar trimming is desired. Repeat application as required to maintain desirable level of weed control and to control plants emerging from seed and underground parts. 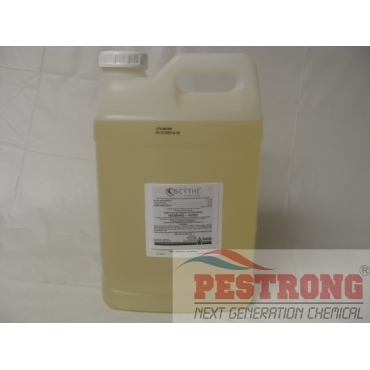 We will ship either Dow Scythe Herbicide or Gowan Scythe Herbicide depends on current stock. both are same product, just different manufacturer. I mixed this with RoundUp Quik Pro and it worked great! Weeds were dead/brown within 24 hours. I highly recommend this combination.